It's like a glo'd-up Cup o' Noodles. Hear from some of the leading changemakers and visionaries helping create a brighter food future. In this issue, we ask Umi Organic CEO/co-founder Lola Milholland about supply chains. 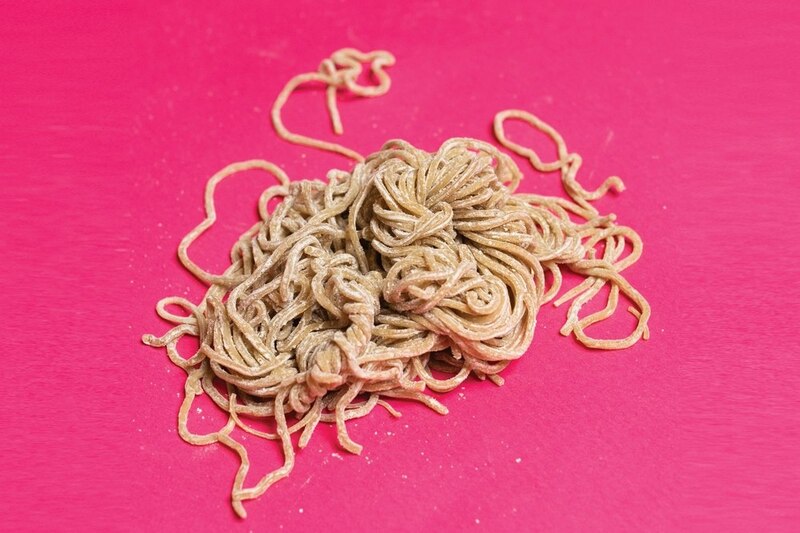 Meet the country's first fresh, organic ramen noodle. Umi Organic releases the first-ever U.S.-made fresh organic ramen noodle for the grocery. "As the ramen craze hits Portland hard, fans can find a new local organic product on grocery store shelves later this month. Umi Organic, which debuted at Hollywood Farmers Market this spring, is the first fresh, organic ramen noodle to be made in the Pacific Northwest. Tasty, with the perfect springy texture, the noodles are made in North Portland with just six ingredients... 'There was a big hole in the marketplace, so I sought to fill it,' says Lola Milholland, a food writer-turned entrepreneur who launched the startup after digging into the complex politics of the wheat industry..." Read on. "It's one thing to enjoy a nice bowl of ramen. But have you ever caught your ramen with chopsticks, fresh off a bamboo flume, as they luge into existence? Have you harvested the soul of your soup by hand? Umi Organic provides you ramen-lovers the opportunity to do just that by bringing the popular Japanese pastime Nagashi Somen to Portland. Once you've caught your noodles, take them to Umi's salad bar to add sauce and veggies from market vendors."